Fountains come in many different shapes and sizes. Whether you know what kind of fountain you want or you are still looking for some fountain design inspiration, this article is for you. 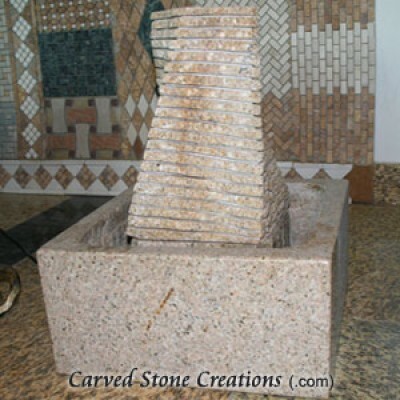 Keep reading to get some great fountain design ideas. 1. A bubbling fountain is perfect for any relaxing landscape. If you enjoy a soft bubbling noise, this fountain is for you. 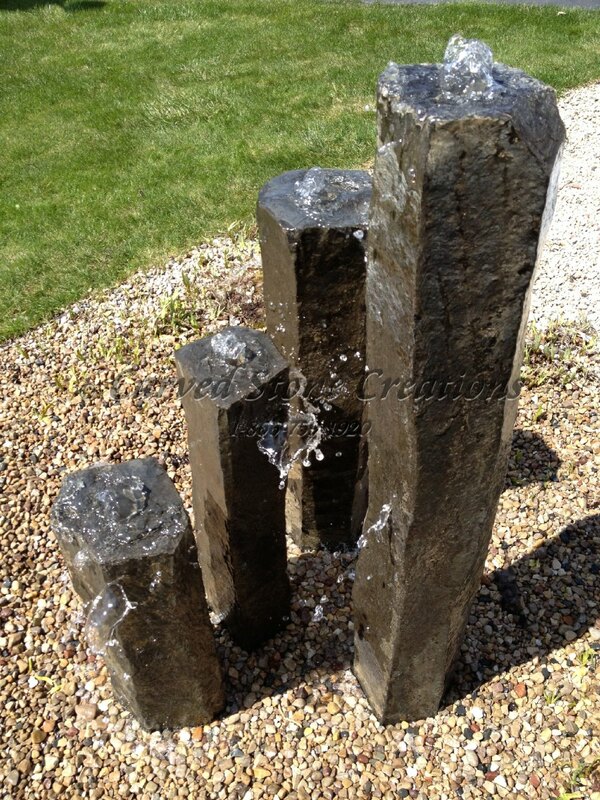 The bubbling fountain pictured below is a basalt column fountain. 2. A floating sphere fountain is perfect if you are looking for a modern look in your yard. These fountains are mesmerizing to look at. Make people look twice with these unique fountains. 3. Spruce up your office space with a unique fountain. If you are looking for an accent piece in your office, a desk fountain is for you. The soft sound of water running will keep you relaxed while you work in your office. 4. Bronze fountains are perfect for the garden because they have beautiful earthy green and brown colors. 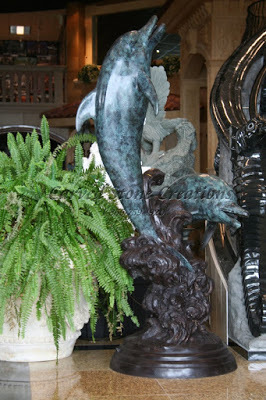 The fountain shown below is of two dolphins jumping. 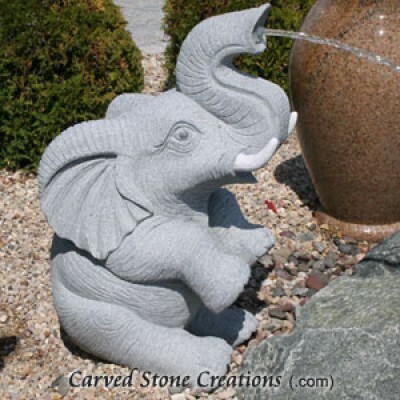 This fountain is sure to make a statement, no matter where it is placed. 5. If you are an animal lover, an animal fountain may be for you. There are a variety of animal fountains available today. Check out some animal fountains below. 6. 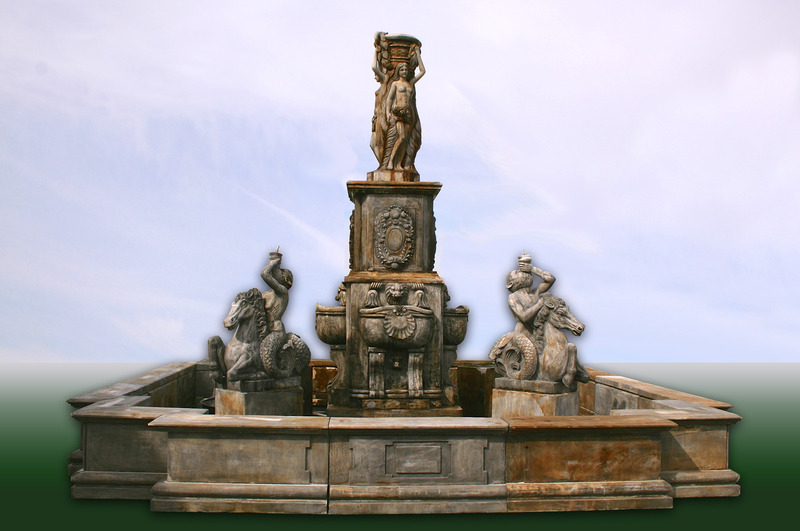 An antique fountain can be very extravagant. Check out all of the unique details in this fountain below. 7. The classic shape of a tiered fountain makes it very popular. 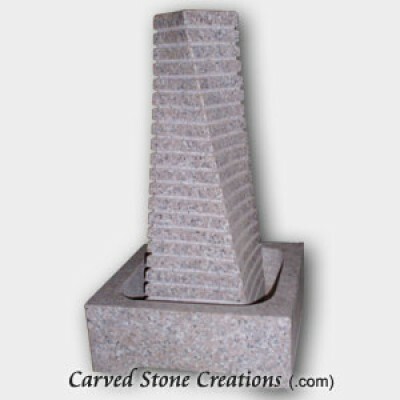 Tiered fountains can come in many different shapes and sizes. Check out some beautiful tiered fountains below. These are just a few of the fountains designs out there. 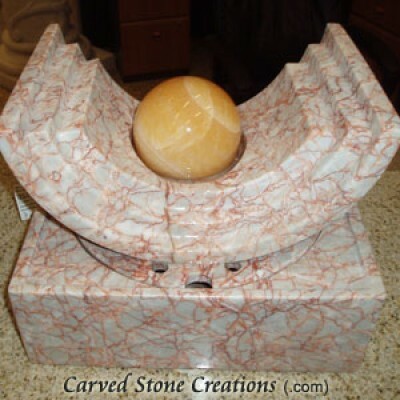 For more fountain design inspiration, check out Carved Stone Creations ideas gallery. 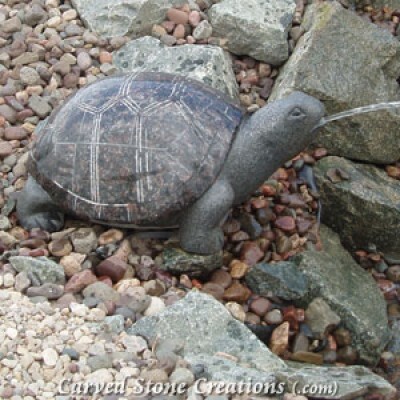 See your fountain in your landscape before you purchase with our Photoshop presentation.